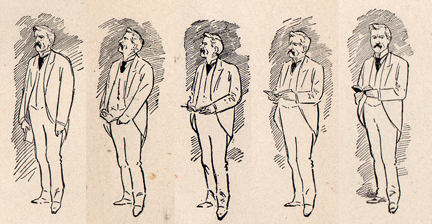 In 1897, fairly early in his career, illustrator and cartoonist Art Young published a collection of lectures by famous writers called 'Authors' Readings.' 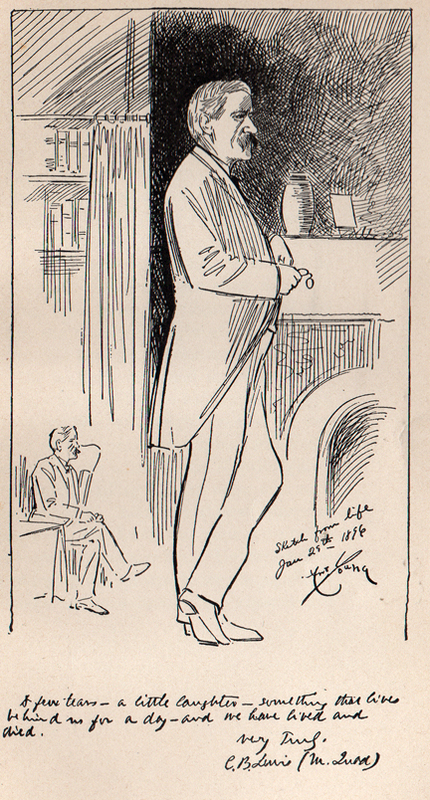 He also wrote short biographies of the writers and wonderful included life drawings, autographed by his subject. Today we are featuring Young's biography of C. B. Lewis, who wrote under the pen name of 'M. Quad.' We have featured hundreds of M. Quad stories in the Basement, and most of them are extremely funny.